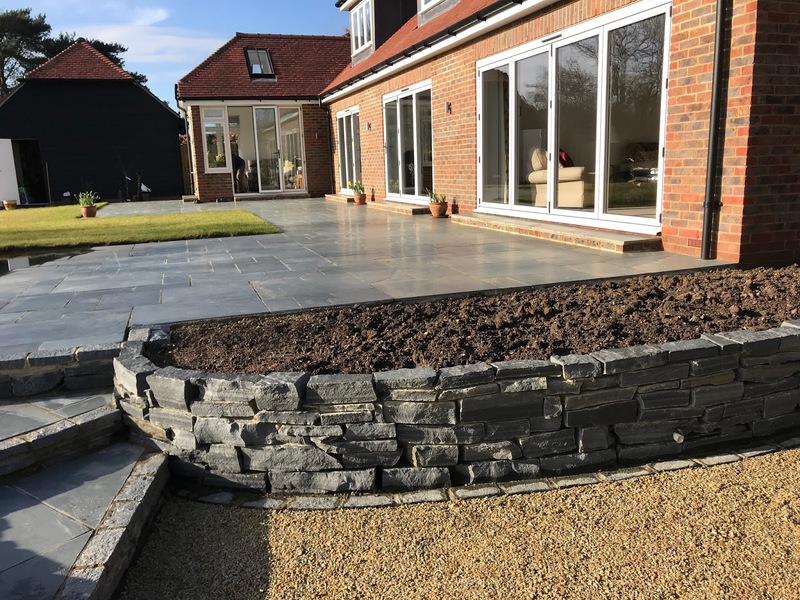 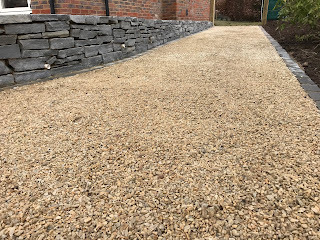 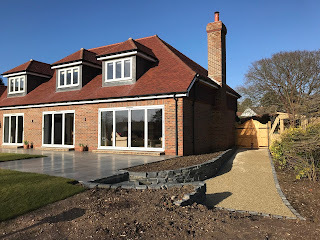 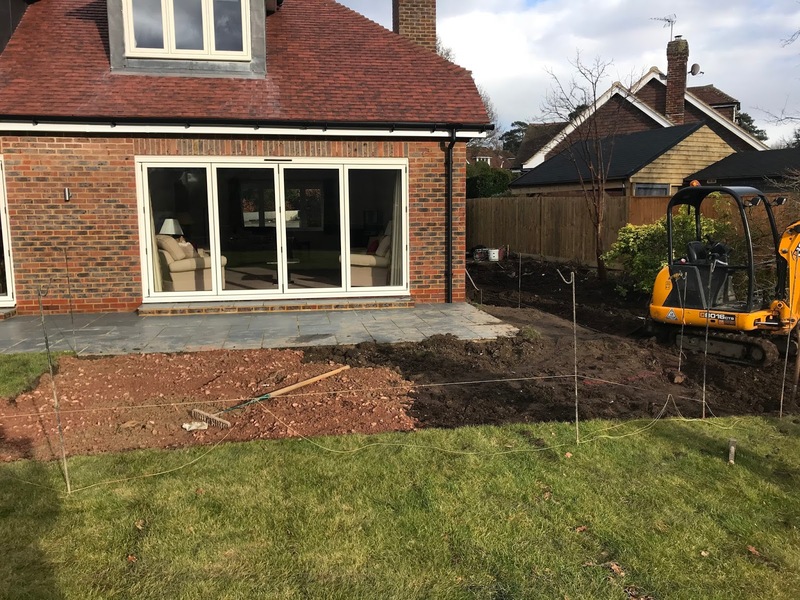 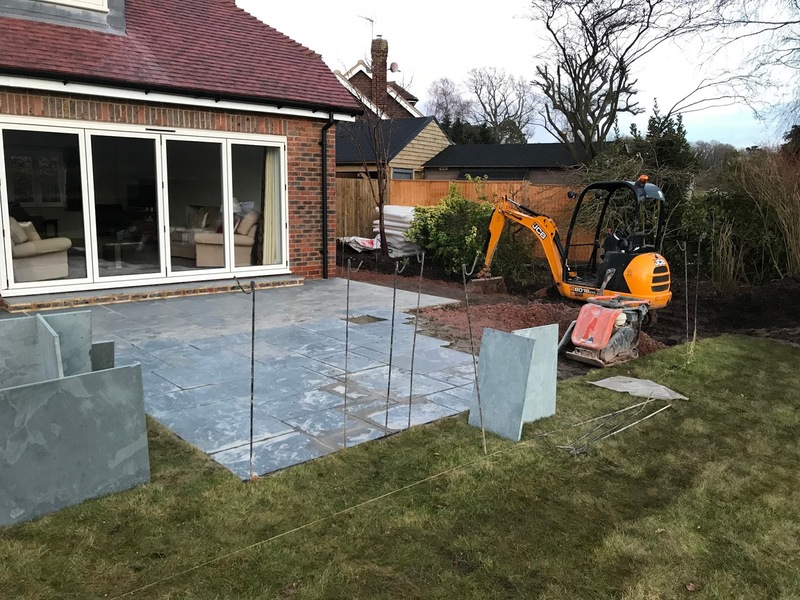 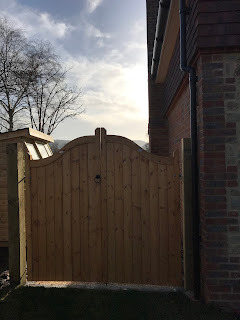 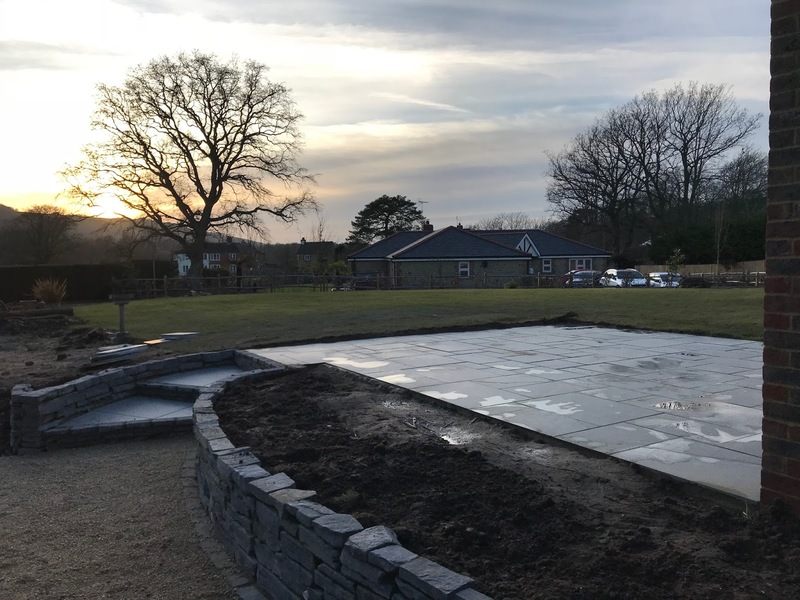 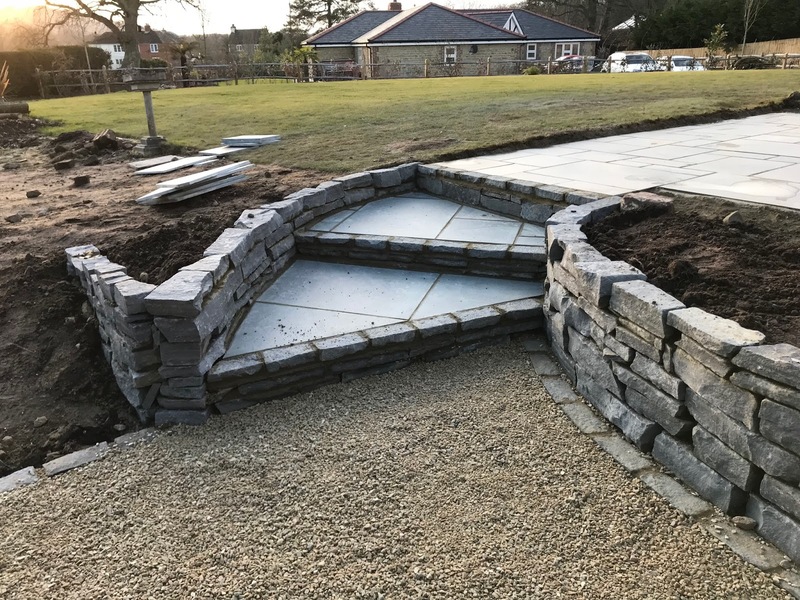 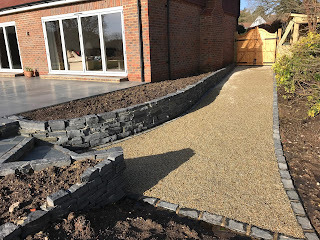 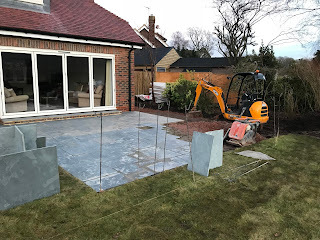 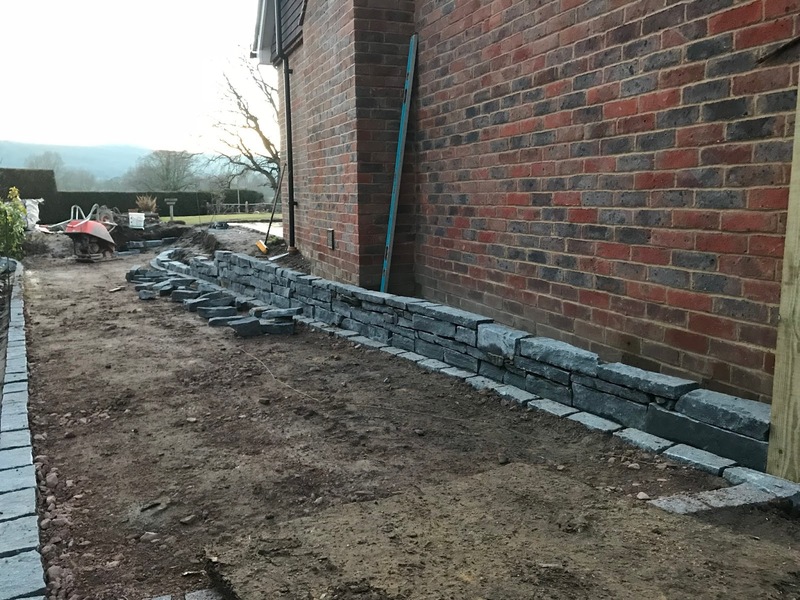 In October 2017 our client contacted us with an enquiry to construct a gated side entrance with a gravel 'driveway' for occasional use for garden machinery and some walling, steps and paving. 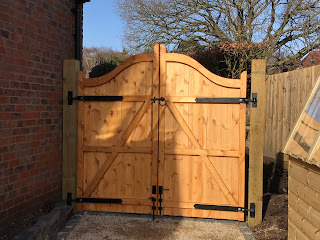 Aye and I (Susan) attended for a site visit after receiving an idea of the brief from the client. 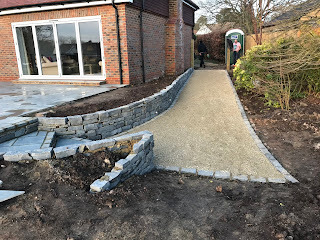 We discussed our client's ideas for the area. 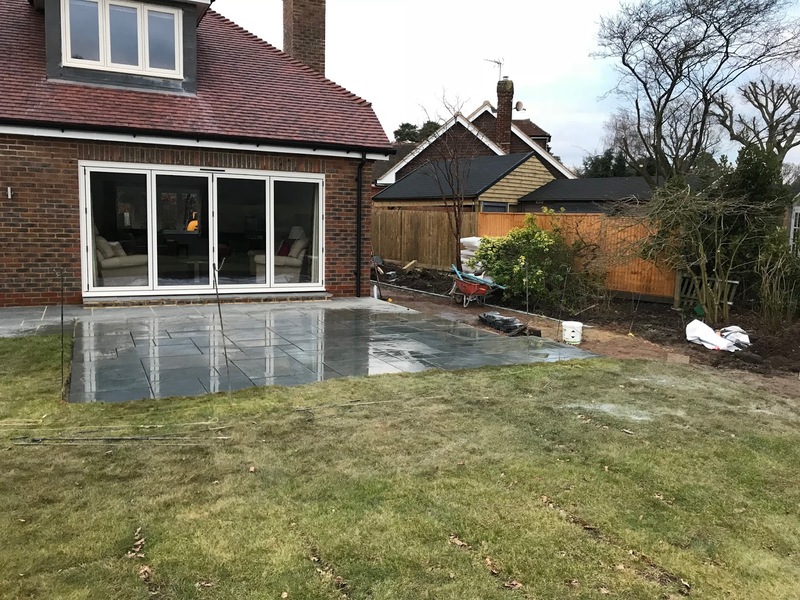 He had had some work done previously with a slate patio but wanted to extend the patio out. 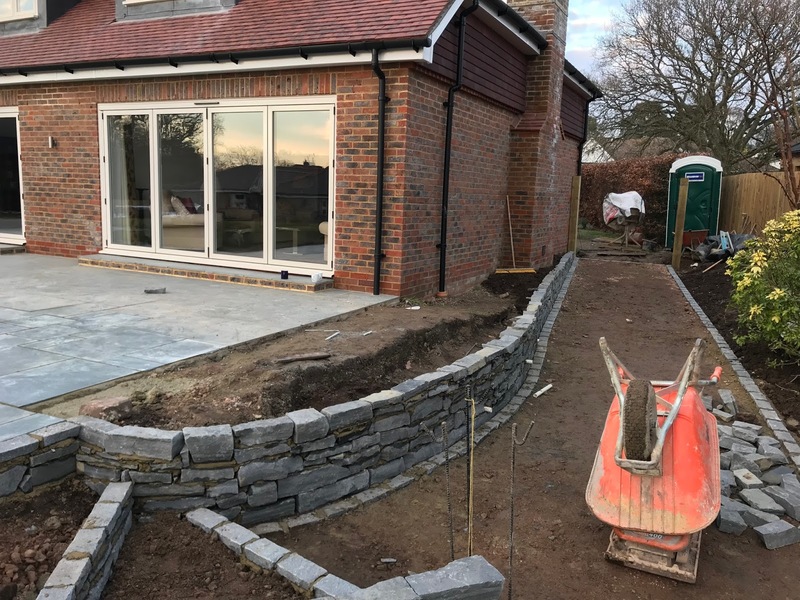 We priced up the work and our clients went ahead and booked the work to start at the end of January 2018. 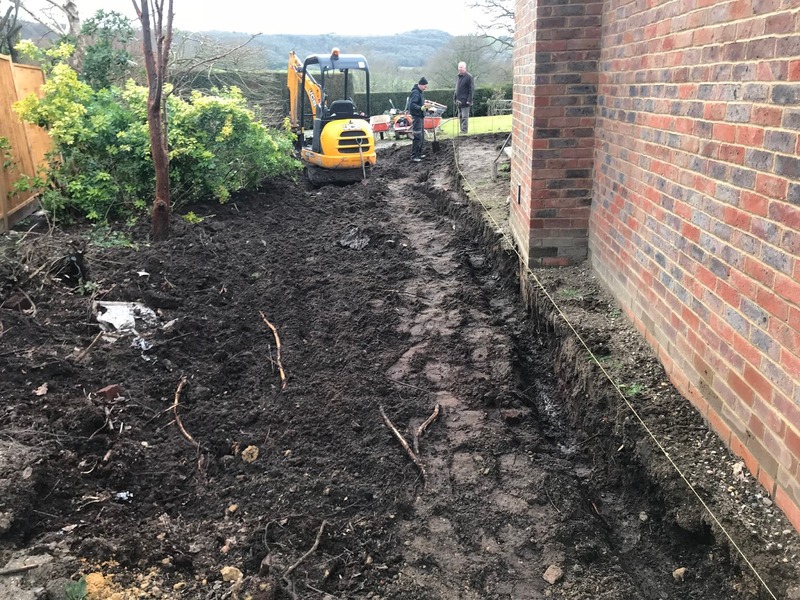 This area was a sloped area. 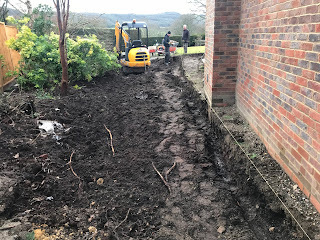 We started to level off the area for the drive. 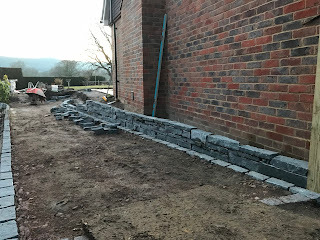 Black slate walling retaining the side of the patio and decreasing towards the gates. The view over the patio. This bed will look amazing once planted up. The view from the project was just beautiful! 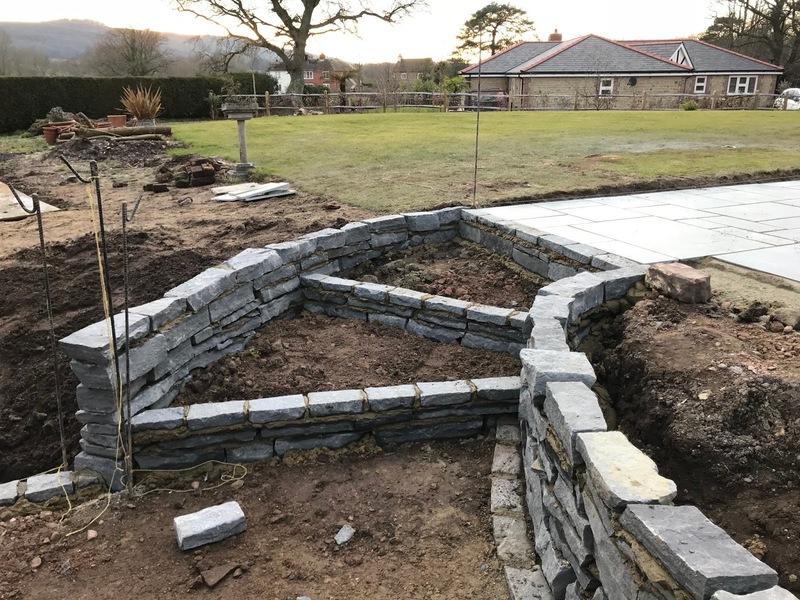 involve a raised bed in the centre of the square lawn between paving. They will also look to extend the paths on the right hand side. 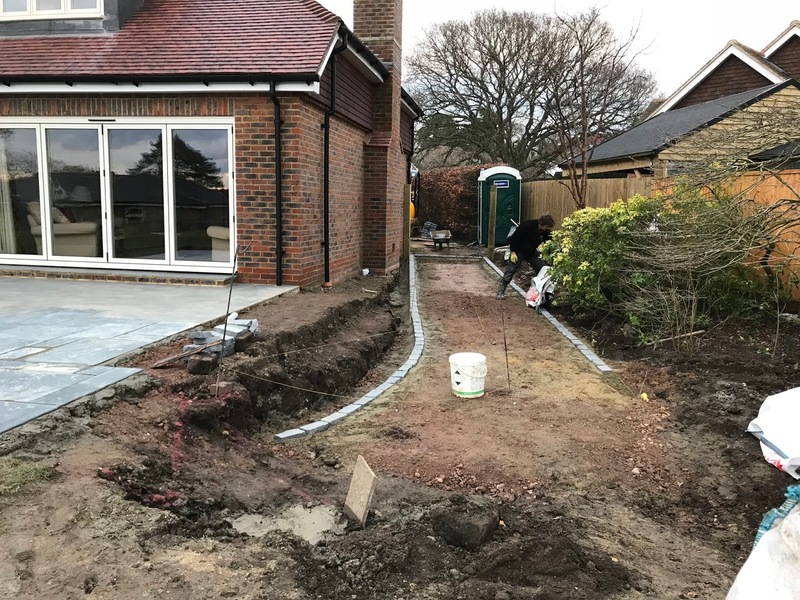 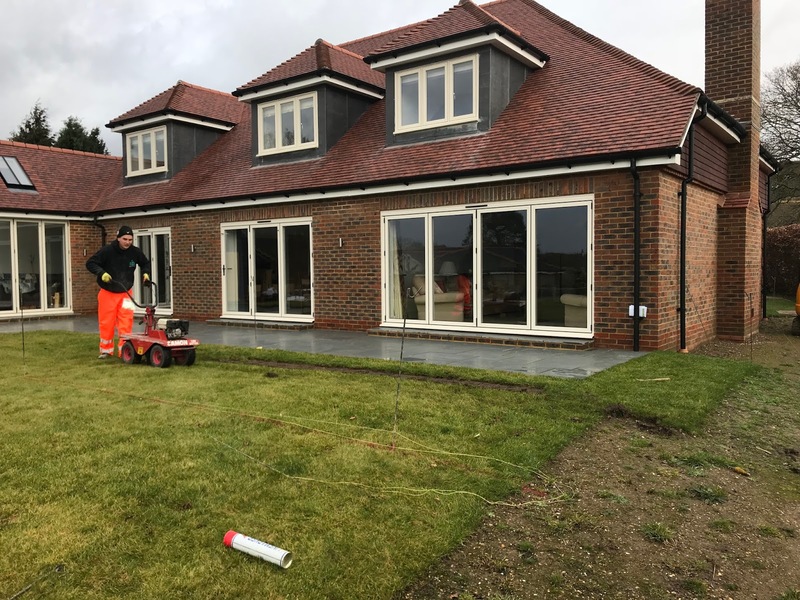 Our client is going to have the left side of the garden (when looking out to the garden) landscaped in the next stage of the works. They plan to have a raised planter in between the two parts of the patio and they can't wait for the warmer weather to get started with planting out the borders!